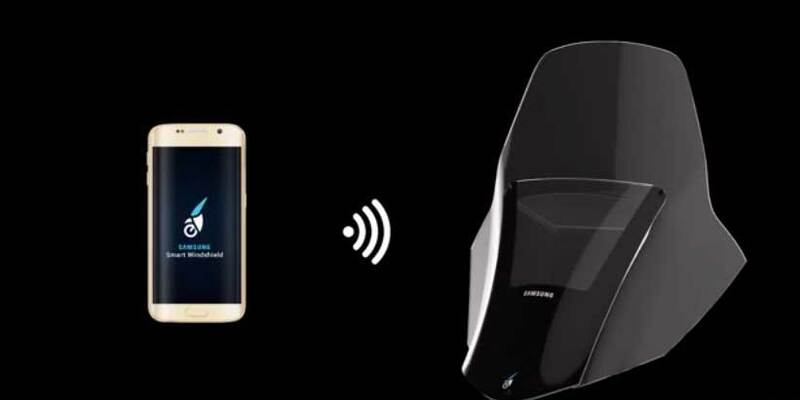 Samsung Electronics, known for its class leading smartphones, is now venturing into the field of motorcycle-smartphone connectivity. With the launch of the innovative product called 'S bike mode', Samsung is taking a leap ahead into developing smartphone related safety features for bike riders. 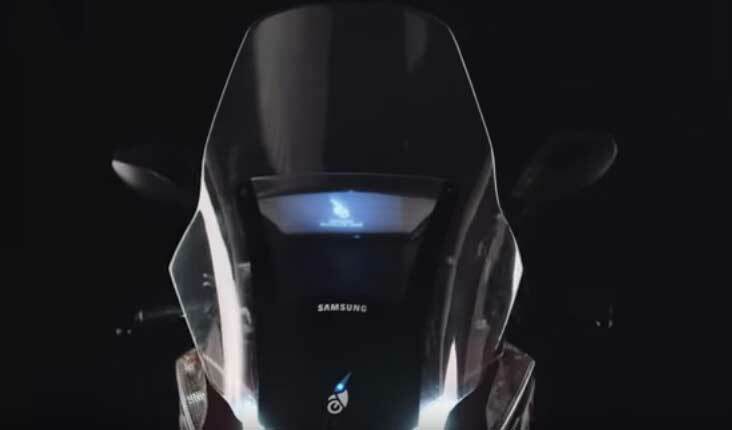 Samsung’s Italian arm, Samsung Italia, has conceptualized a windshield for motorcycles called the Samsung smart windshield. This windshield is designed by keeping riders safety as the first priority. Use of smartphone may be beneficial in everyday life, but it proves fatal when used while driving or riding a motorcycle. Calls or text messages often distract riders leading to accidents. This is where Samsung Smart Windshield comes into play...! It connects to rider's Smartphone with the help of Wi-Fi. It displays the vital information such as calls, text messages and even the map data on the windshield. Thus, there is no need to leave the handlebar to operate the phone. The rider is able to see the information right in front of him on the windshield. As a result, overall distractions are reduced substantially leading to a safe ride. Recently Head Up Display or HUD is becoming popular in cars. Samsung smart windshield is nothing but the Head Up Display for motorcycles. It also has an inbuilt GPS Navigator which displays maps directly in front of the rider making navigation easy especially during heavy traffic. Also, this eliminates the need to search the location by using a smartphone. In addition, this windshield has the facility to send an automatic reply to the caller. Also, the rider can prioritize the notifications displayed based on the importance. So from now on, you will not need to check your Smartphone frequently as every bit of information is right in front of you. With the help of innovative solutions like Samsung smart-windshield, Samsung is trying to solve the problems of Gen-Z by improving the safety of the connected generation...!